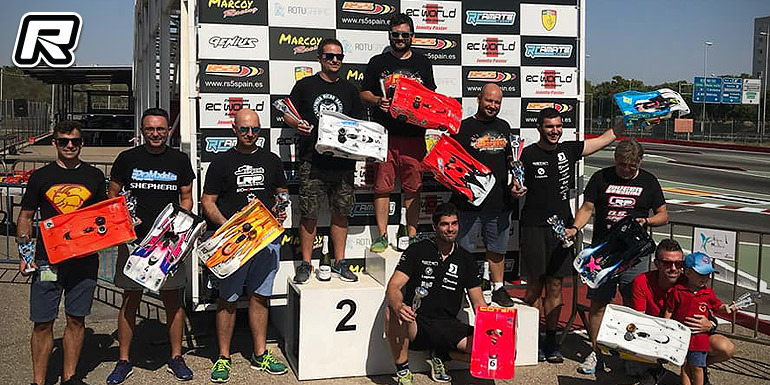 The final round of the Spanish 1/8th IC Track Nationals was held in Sevilla last weekend. Adrian Santerio was on fire the whole weekend, taking the overall TQ with Nacho Lopez securing himself the 2 spot on the grid after the super pole race. The start of the main final was a clean affair and Adrian was able to jump into the lead, closely followed by Nacho. However Adrian had a small bobble some minutes into the race that allowed Nacho to take the lead and from there he tried to manage the gap as he was on a tyre saving strategy. Later Adrian had to retire due to radio issues which allowed Nacho to keep it a bit easier and to bring home the win after the 45-minute A-main.